Our Artist-in-Residence is Peter Walker. Peter is a Fellow of the Royal Society of Arts, and a member of the Royal Society of British Sculptors. He regularly collaborates with David Harper to lead Luxmuralis, a collaborative team of artists who take art, light and sound onto the streets and provide access to visual artwork in public and unexpected places, including Lichfield Cathedral. With the support of the Westhill Endowment, Lichfield Cathedral was able to undertake the largest-scale community participation art installation we have ever done. Our aim with this project was to engage with 20,000 young people, getting them to think about themes of peace, reconciliation and forgiveness. Each child created a paper dove to the artist’s design and as part of their lessons at school. 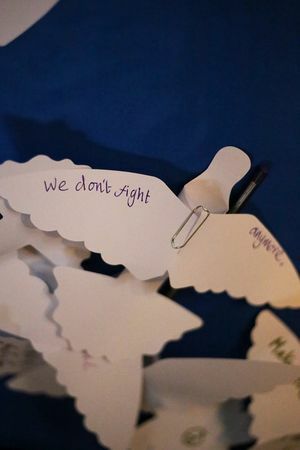 They developed personal messages relating to peace and forgiveness and also learnt about the historical and religious context for the dove as a symbol of peace. 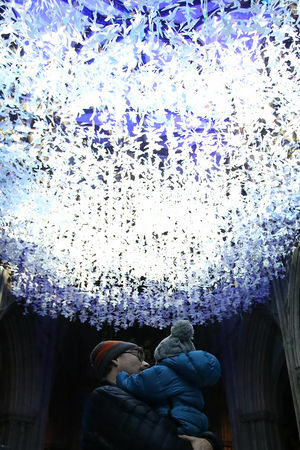 The 20,000 doves were then installed as a stunning installation at Lichfield Cathedral in December. We engaged with a further 30,000 people who visited the Cathedral throughout Advent and Christmas and saw the completed artwork. 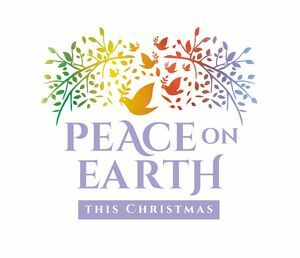 Throughout 2018, Lichfield Cathedral presented a seasonal programme of services and events we entitled ‘Imagine Peace’, commemorating the centenary of the 1918 Armistice. This culminated in our Advent and Christmas theme of ‘Peace on Earth’, and the centrepiece of 20,000 doves installed in the nave.